This is the fourth edition of the San Francisco Giants Mailbag, which is a weekly post that involves answering Giants fans’ questions about the team. I asked fans over Twitter this week what questions they had, and I chose three to answer in this week’s Giants Mailbag article. 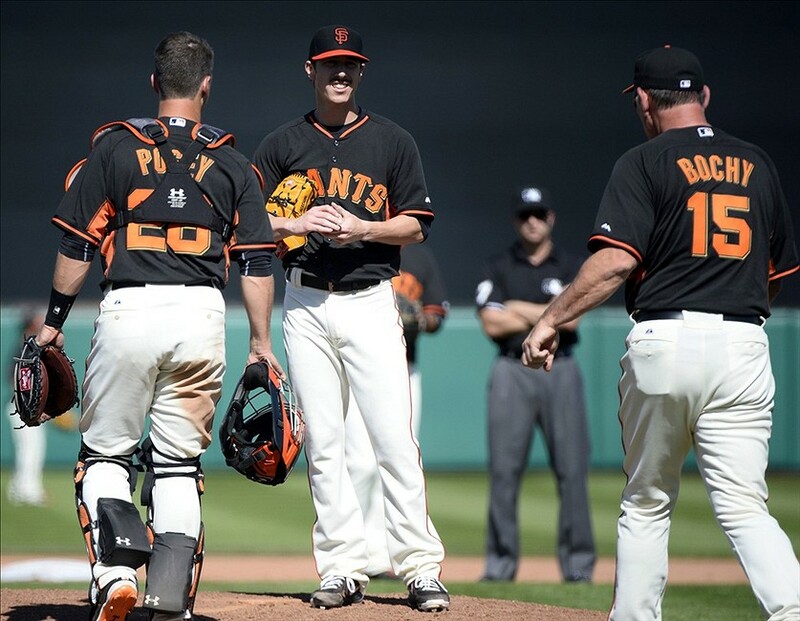 San Francisco Giants: Who Will Be Their Fifth Starter? After signing Tim Hudson to a two-year, $23 million deal, the San Francisco Giants have four proven starters on their roster. Matt Cain is their workhorse, Madison Bumgarner is the young ace, and Tim Lincecum is a fan favorite. Hudson is the new face in the starting rotation, but he’s also a proven pitcher who will provide some valuable veteran leadership to the starting pitching staff and clubhouse. So what are the Giants’ options for their fifth starter? First of all, they could look outside the organization. 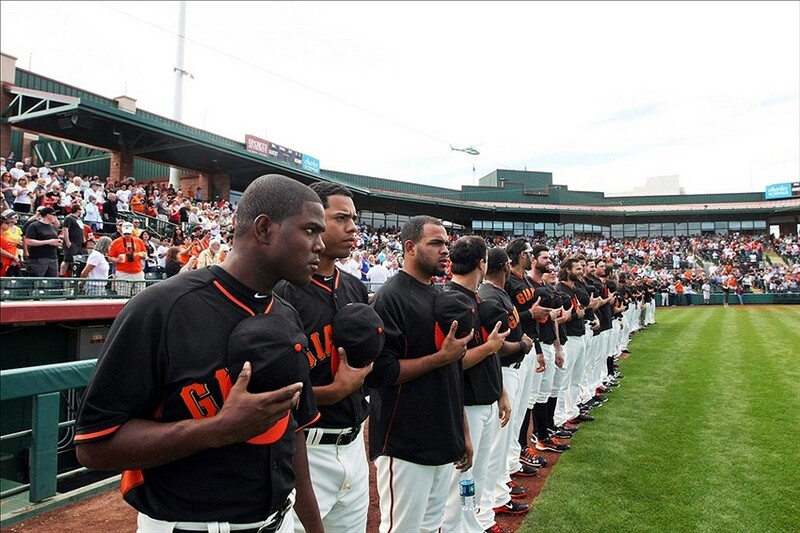 The Giants have been tied to Ricky Nolasco, Dan Haren, Josh Johnson, and Bronson Arroyo. However, Nolasco is basically out of the running, because he’s seeking a four-year deal, which the Giants aren’t willing to give. Johnson is also out of the mix, because he just signed with the San Diego Padres. That leaves Haren and Arroyo. The Giants and the Los Angeles Dodgers are both reportedly interested in signing Haren, who struggled in late June and early July because of a shoulder injury but was excellent after returning from the DL. Arroyo would be a great addition to this Giants starting pitching staff. Arroyo finished the 2013 season with a 3.79 ERA, but at AT&T Park, he had a 0.00 ERA in nine innings and a 0.60 ERA against the Giants last season. Arroyo has publicly said that he’d love to pitch in San Francisco, but the Giants haven’t extended him an offer. The Giants also can look within the organization or to some familiar faces to fill the fifth starter spot. Ryan Vogelsong is one option. The Giants declined his $6.5 million option for the 2014 season, but according to numerous sources, both the Giants and Vogelsong’s agent are interested in discussing a deal to bring Vogelsong back. 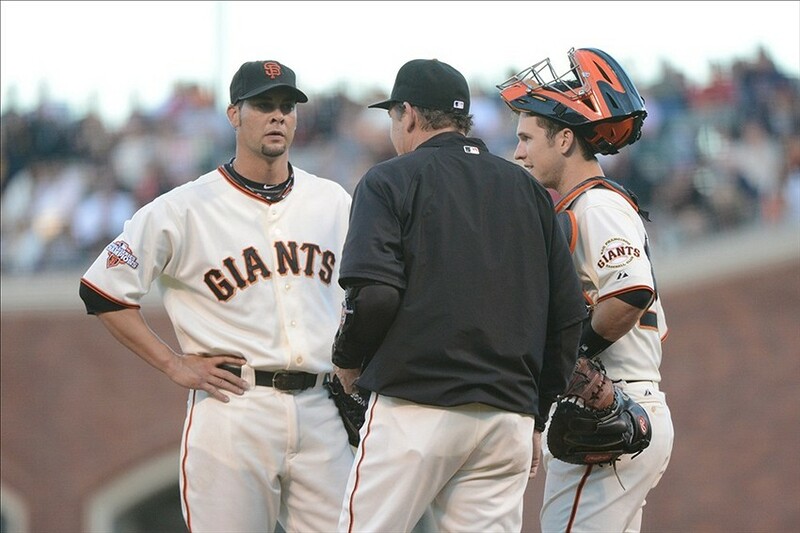 Vogelsong was a fan favorite and a beloved Giant, so Giants fans would love to see him back. Vogelsong struggled for much of the beginning of the 2013 season, and then he suffered an unfortunate injury to his right hand right when he was starting to find his groove again. After returning from injury, he had issues with his velocity, his confidence, and his rhythm. However, he appeared to be close to re-gaining his dominant form later in the season. Another option for the Giants is re-signing Chad Gaudin. Initially, the Giants brought on Gaudin last season to be their long reliever. When Vogelsong went down with his injury, Gaudin stepped into the starting rotation and proved to be a serviceable starter. In his 12 starts last season, he had a 3.53 ERA. Gaudin also served as a mentor to Lincecum and helped him transform into more of a cerebral pitcher. Gaudin was a great veteran to have in the clubhouse, so he’s a great option for the Giants. One more option for the Giants within the organization is Yusmeiro Petit, who came within one strike of a perfect game last season. Petit started seven games for the Giants near the end of last season, and he finished with a 3.59 ERA and struck out 40 in 42.2 innings. Petit certainly made his case for why he deserves to start for the Giants this upcoming season. The Giants also still have to find a left fielder or a first basemen, which would lead to moving Brandon Belt to left field. The Giants still have many areas to address in the offseason and many decisions to make on how they want to allocate their money towards addressing those needs. 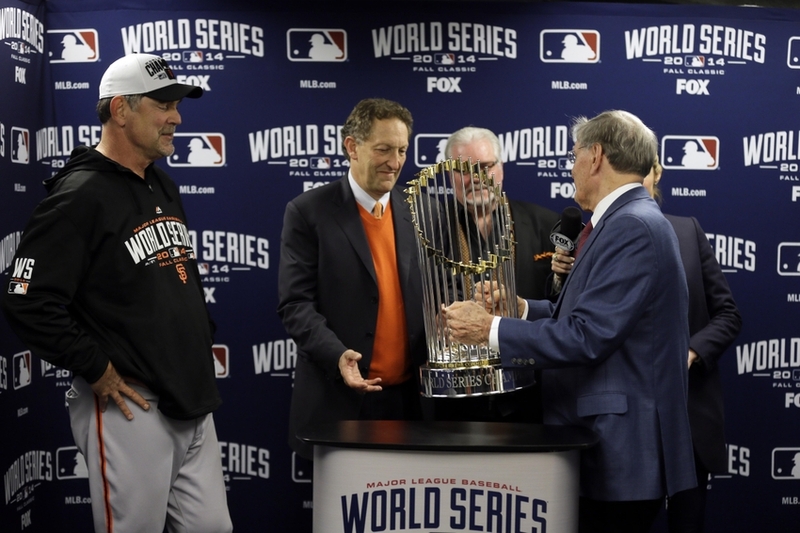 Obviously, if the Giants want to save some money, it’d be easier to go with Vogelsong, Gaudin, or Petit. Brian Sabean has said that they are willing to spend extra money if they truly believe a free agent is worth the higher cost. Since it appears as if money is no issue, Haren and Arroyo must still be in the mix too. The Giants have many options for filling that last spot in the starting pitching rotation, so it’ll be interesting to see which option they choose.